Home » Inglesina Fast Table Chair Giveaway! The Inglesina Fast Table Chair is perfect for parents who are short on space or avid travelers. 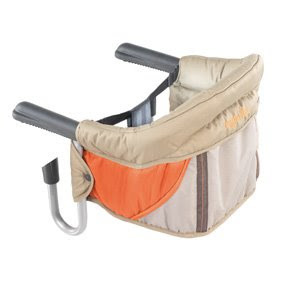 It’s folded size and weight (3.5 lbs) make it a perfect accessory to have in your diaper bag for quick trips to grammas or a dinner out at your favorite restaurant. The fast may be adapted to almost all types of tables, it accommodates children up to 33 lbs and it has a storage pouch on rear of chair. For safety, a harness with crotch strap keeps your child in place. Kids Are King On Allure of The Seas! Joovy’s Foocot ~ Comfort For Your Child Anywhere!